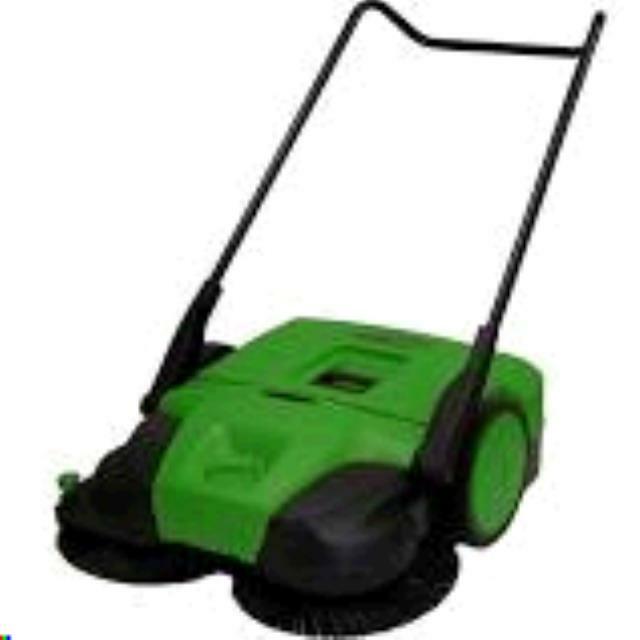 Clean your living space with this BISSELL BigGreen Commercial Push Power BG477 sweeper, which features a Turbo sweeping system with dual rotating brushes for efficient dirt pickup. The 13.2-gal. container holds a large amount of debris for less emptying. * Please call us with any questions about our sweeper concrete dust stones rentals in Cleveland, Parma, North Ridgeville, Strongsville, and Cuyahoga County.